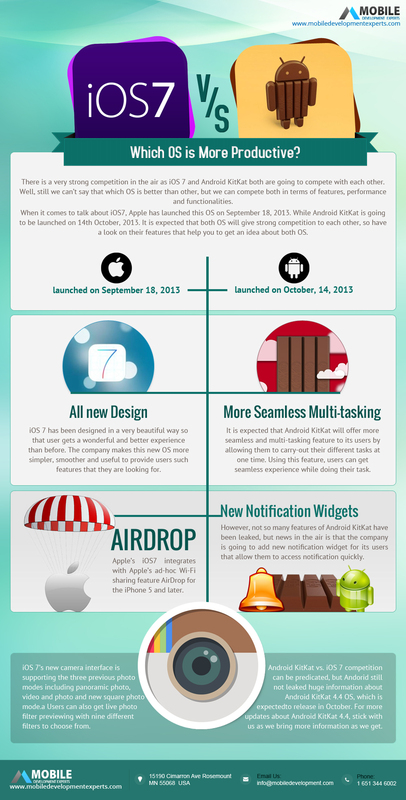 Apple’s iOS 7 Vs. Android KitKat - Which OS Do You Feel More Productive? Apple’s iOS 7 Vs. Android KitKat – Which OS Do You Feel More Productive? It becomes difficult to know which operating system is more productive among Apple’s iOS 7 and Android KitKat. So, here we have compare some of the extra-ordinary features of both of OS that conclude which OS is best and more productivity than other.